When it comes to makeup products my biggest weakness is eyeshadow palettes, I may have the shame shades 100 different times but just with a different brand name and a different layout, and I'm totally fine with that. Too Faced has been a brand I'm only recently new to and have yet to use a decent amount of their products but with the ones I have tried I'm totally obsessed. 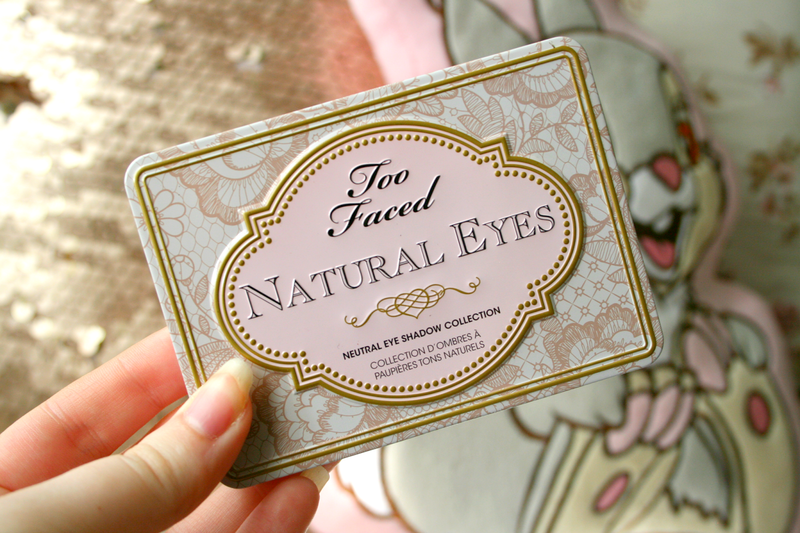 The Too Faced Natural Eyes palette is the only palette I've tried from Too Faced so far and I am in total love with it. When I'm getting ready for work this is the only palette I go for. With three looks already laid out for you it really couldn't be any more simple, all that's left for you to do is to sweep the shadows onto your lids. The shadows themselves are extremely buttery and just simply a dream to work with. With 9 gorgeous pigmented everyday shades you really cannot go wrong for €35.00. Also can we talk about how pretty the packaging is? Because it is extremely adorable! Even though the shades are all laid out for three different eye looks I do like to mix and match and I'm sure even by this photo you can notice my more used shades. When getting ready for work obviously I've spent an extra 10 minutes in bed than I should have so I want to be able to do something quick, but I also want it too look like I've spent hours perfecting it and that's where this palette comes in! On those early mornings while getting ready for work I use 'Honey Pot' all over my lid as I find it really complements Blue eyes and makes them stand out. Then in the crease I like to blend in 'Chocolate Martini' and then finally to smoke it up a little I apply 'Sexpresso' to the outer v of my lids. Under the eye I normally smudge some of the 'Chocolate Martini' shade and then I'm good to go! Well obviously once I'm finished applying all my make up I'm ready to go but this eye look makes getting ready so much quicker as it basically takes no longer than three minutes! Since Christmas is coming up I definitely have some more Too Faced eyeshadow palettes on my wishlist. With the adorable packaging and even more gorgeous colours I think I may just write them all down, close my eyes and then pick the one I'd like as it'll be the only way I'll be able to decide. 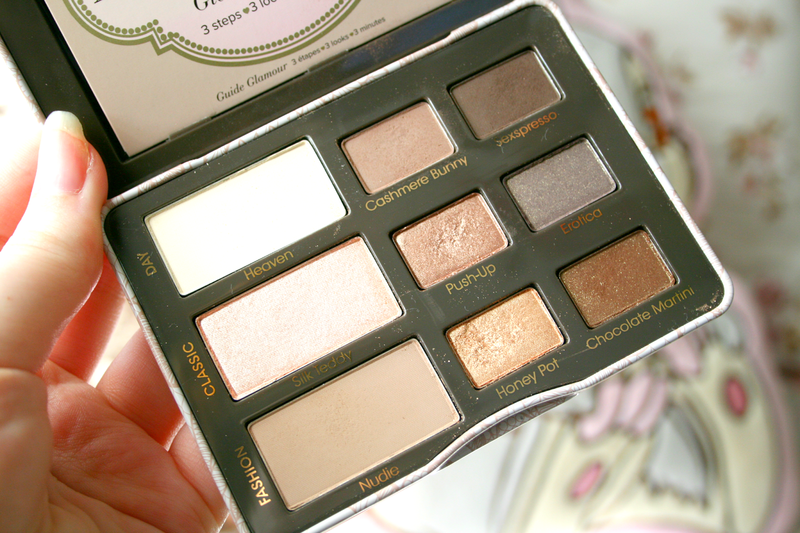 Have you tried any of the Too Faced eyeshadow palettes? Push Up and Honey Pot are both gorgeous shades, this palette is definitely going on my Christmas wish list! This is one of my favourite palettes too! All the shades are so wearable! I want the Chocolate Bar palette next! This is actually one of my favorite palettes, I really like to wear it with the matte version too. i only have the chocolate bar palette and i am obsessed with it! got it in july and it is the only palette i have ever used since then, which is a record for me! you should definitely check it out! the natural eyes palette looks gorgeous too! Gorgeous shades and the packaging is so lovely! Honey pot is stunning! too faced does some of the best palettes in my opinion. the chocolate bar palettes are insanely good. This palette is so gorgeous, it's been on my wish list forever! Espresso is my favorite type of colour! The palette looks stunning! !